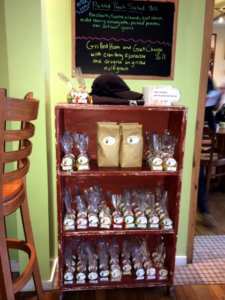 The Pickle Jar Kitchen in Falmouth Village Cape Cod is a favorite restaurant of ours and our guests and we are thrilled to share some information and stories about this special locally owned and run restaurant. The Pickle Jar Kitchen opened its doors on February 6, 2013. The local residents who own and run the restaurant are Benjamin and Cassandra Gallant and Elisabeth and Kevin Lay. A fun bit of background is that Benjamin, Elisabeth and Kevin went to school together at Johnson and Wales Culinary University in Providence Rhode Island. 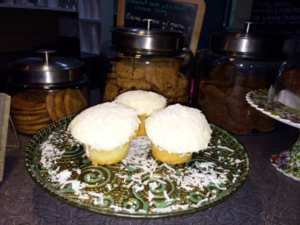 The restaurant is definitely kid friendly and you will often see the owners children visiting in the early morning before heading off to school. This group of good friends had been thinking about doing a restaurant together for some time. 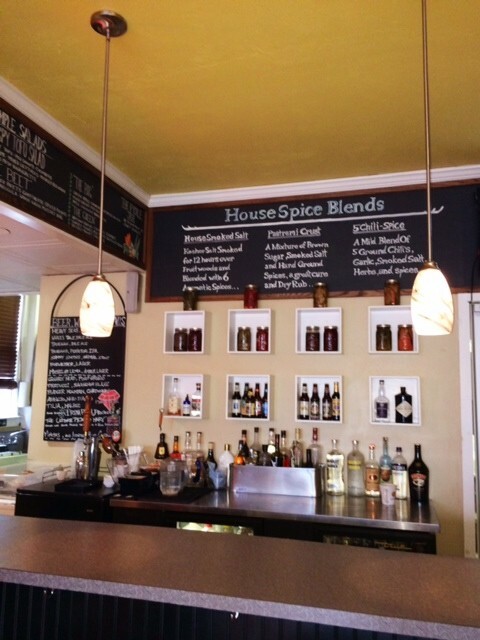 The space known to many townies as the previous “Laureens” restaurant became available on Main Street shortly after another spot was scooped up and this friendship based venture was meant to be in its current location. The space leasing came together and they were literally going to open in a month and the friends said “okay what are we going to call this restaurant”. 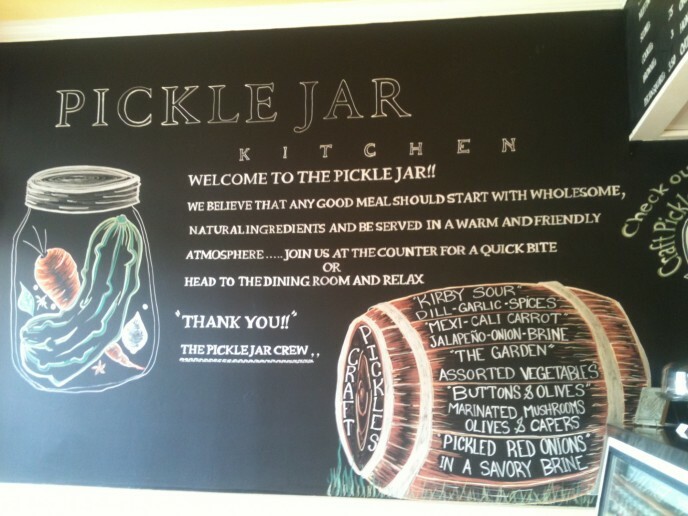 The brainstorming began and since they had been active picklers for sometime, including pickling their garden vegetables, it made sense to incorporate that into the name of the restaurant and the menu offerings. During the brainstorming Pickle just kept coming up in names such as Pickle Barrel and they settled on The Pickle Jar Kitchen. Kevin created the actual logo. Many of the “Specialty Sammiches” are very popular and include ingredients such as special spice blends they have created. The most popular sammich is “The Firehouse” which features smoked chili rubbed boneless pork, their very own home made pickled carrots, smoked cheddar and BBQ sauce on a toasty house roll. The next most popular is The Village Green which includes yogurt and herb marinated chicken, boursin cheese, baby arugula, sprouts, cucumber, drizzled with their own dill aioli and served on toasted Sourdough. They have a number of vegetarian and gluten free offerings. The tofu salad is probably the most popular and consists of a lightly dusted and fried tofu served with pea shoots, cucumbers, edamame beans, & mixed artisan lettuces, drizzled with ginger miso vinaigrette and topped with pickled red onions. The first year they were open they entered the Chili Fest at the Cotuit Center for the Arts and Won! Interestingly the chili is not even an offering on the menu. Lis is a master baker and owner of Butterqueen Cakes. The best selling baked goodie at The Pickle Jar Kitchen would be the Coconut Cup Cakes. The Specialty Sammiches have great Falmouth names such as Road Race Roll, Nobska Light, and The Town Hall.